There are new entries about Nancy Famorali and Dr. Dhar has a new book on what to know before you have surgery! for a special interview and book review today on a book that is a must-read for everyone with a special needs child! "It" is an invention that is highly valued by everyone and his brother and the race is on to see who will be victorious in finding the invention. David Snowdon has written an espionage novel that takes the reader on an international trip to locate a secret invention that was created by a genius and disappeared when he died. Will Special Agent, Jason Clay be able to get the formula before it falls into the wrong hands? David Snowdon has created a storyline and cast of characters that will have you guessing about what comes next throughout the entire book. The plot takes so many unexpected twists and turns, the reader remains intrigued to the very end of the book. I personally found myself slightly annoyed at the amount of detail used, as I enjoy creating a lot of the visuals in my own mind. Others may find the descriptions of clothing, background music and meal details an enhancing aspect of the book. In spite of this, however, I found myself intrigued by what was happening and was able to overlook much of the detail and concentrate on the story. Snowdon has the ability to create believable characters and has most certainly taken time to research the settings within his book. I felt as though I was listening in from a corner table as I read. I would not hesitate to recommend this book to anyone seeking an international spy thriller to fill a couple afternoons. Be prepared for surprises at every turn of the page. 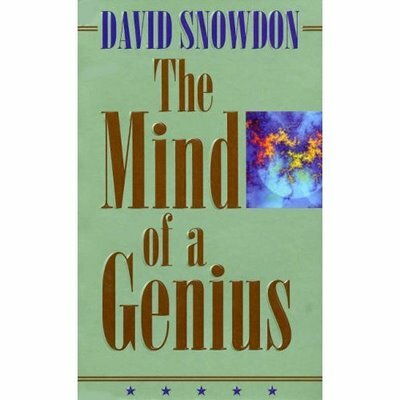 On the Rainbow Scale of Excellence, The Mind of a Genius by David Snowdon rates four colors. “I’m value for money and you know it,” said Clay with his cheekysmile. She suddenly stopped without finishing her sentence, aware that Shooter was watching her with interest. She would have loved to have given Claya piece of her mind. She would have loved to have told him exactly what she thought of him. But she didn’t want to lose her composure in front of her boss.